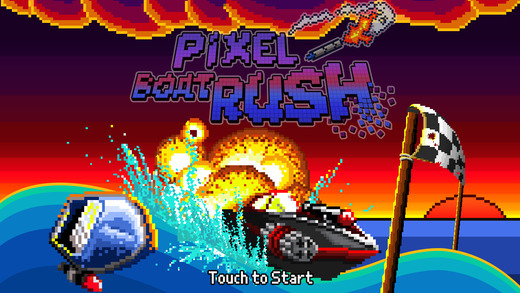 As the name suggests, Pixel Boat Rush is an arcade, combat and boat racing game developed by XperimentalZ Games. 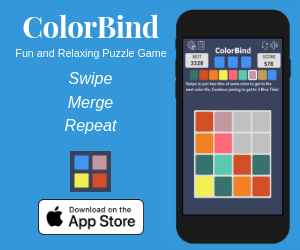 The game embraces pixel art graphics and looks quite simple at first, but wait until you experience its magnificence as you outrun your rivals in loads of challenging race events set in high seas. The game’s high speed and armoured racing boats, retro pixel art graphics, and awesome soundtracks are simply top of the class! As a racing game that blends both a career and arcade mode, Pixel Boat Rush is not short on racing action. In the career mode, the game features a license mode where gamers put racing skills to test in short boat races. Successfully completing career mode in the first, second or third place unlocks new boats with higher performance and breakneck speed that you can purchase. The arcade mode, on the other hand, allows gamers to race in thrilling and high-speed individual races filled with jagged waves, obstacles and tons of coins that are up for grabs. With up to 100 racing events that span across 7 types of races, such as the ceasefire, elimination and demolition race, Pixel Boat Rush also has loads of customizable racing boats such as the Hunter, Grim Lantern, and the Otari 2600 among others. The racing is done in four classes: A, B, C, and the most challenging of all, the S class. To unlock subsequent races in each class players have to complete the race in the top three positions. Combat racing is also a strong suit of this racing game. 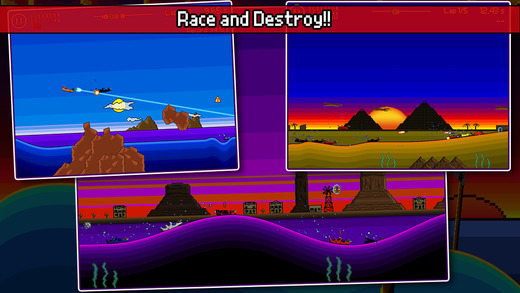 In the game, each boat is fitted with a projectile weapon to take out rival racers. However, shooting down your adversaries is not as easy as it sounds. The game demands precision and battle tactics since you need to shoot down rival boats on waves with limited ammo. 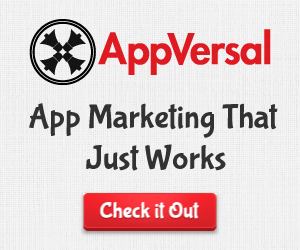 Other features include in-app purchases and upgrades for speed boosts, repair and ammo. Also, Game Center support has been incorporated to exhibit gaming achievements via leaderboards. 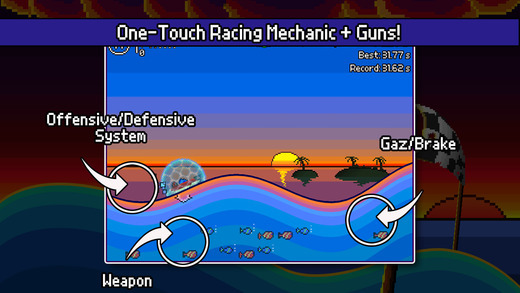 Pixel Boat Rush is built with two touch-based controls that are extremely easy to use. For instance, on the main screen, gamers only need to tap these two icons placed at the bottom right and left to accelerate and fire boat weaponry respectively. Gamers can also send their powerboats ‘flying’ by holding onto the acceleration icon when they get to the top of a wave. 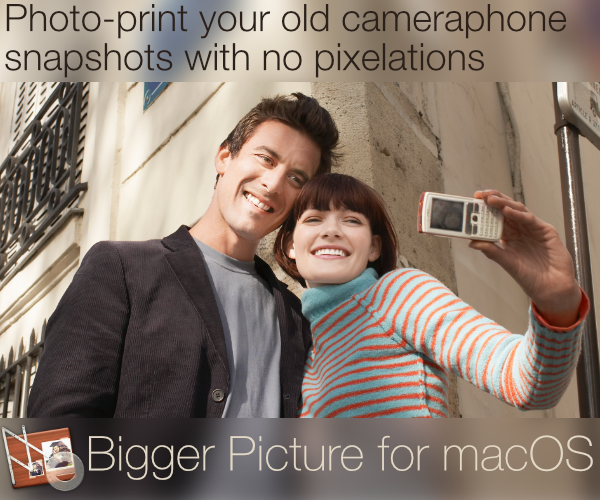 This not only makes the game more exciting but also comes in handy in case you need to collect hig-placed power-ups or need to evade enemy projectiles. 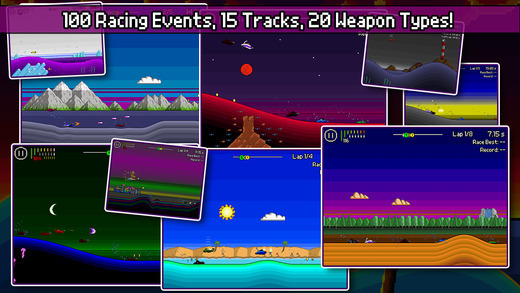 Appearance-wise, Pixel Boat Rush is set in a unique 2D, retro aesthetic and pixel art–based theme filled with vibrant colours. 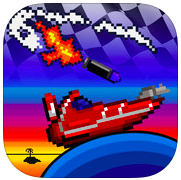 As an addictive and fascinating pixel art–based game, Pixel Boat Rush blends arcade and combat gaming on water. Plenty of action goes on in the game as a result of its remarkable design, scintillating graphics and countless racing events. All this is more than enough to guarantee players hours of intense high speed action in an electrifying experience. 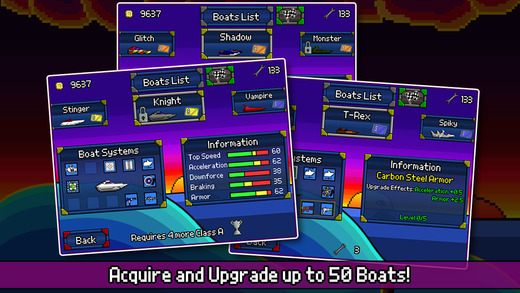 Pixel Boat Rush is available from the App Store for only $1.99!